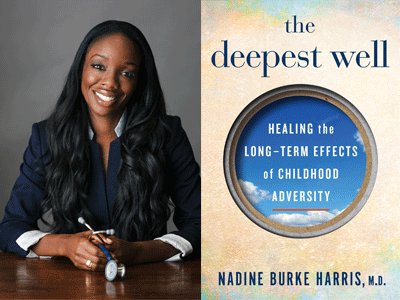 Crusading pediatrician Nadine Burke Harris has written a compelling new book on how to help children impacted by traumatic experiences. 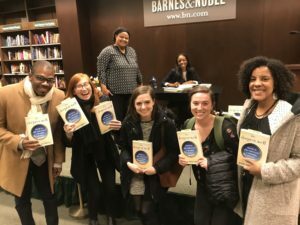 The Deepest Well: Healing the Long-Term Effects of Childhood Adversity uses storytelling and scientific insight to provide accessible strategies for preventing stress from getting under the skin, where it can cause life-long illnesses and barriers to learning. Turnaround for Children Washington, D.C. staff check in with Dr. Harris at her D.C. talk. Turnaround for Children New York team members at the New York City book signing. You can learn more about The Deepest Well by reading Dr. Burke Harris’s interview with National Public Radio in which she speaks about Turnaround’s work. 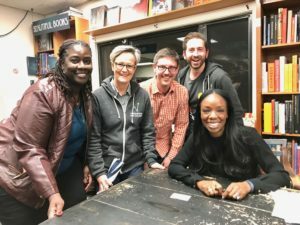 In the days after the book was published, Turnaround staffers enjoyed listening to Dr. Burke Harris read excerpts in New York City and Washington, D.C. Click here to see if she is coming to a city near you soon!